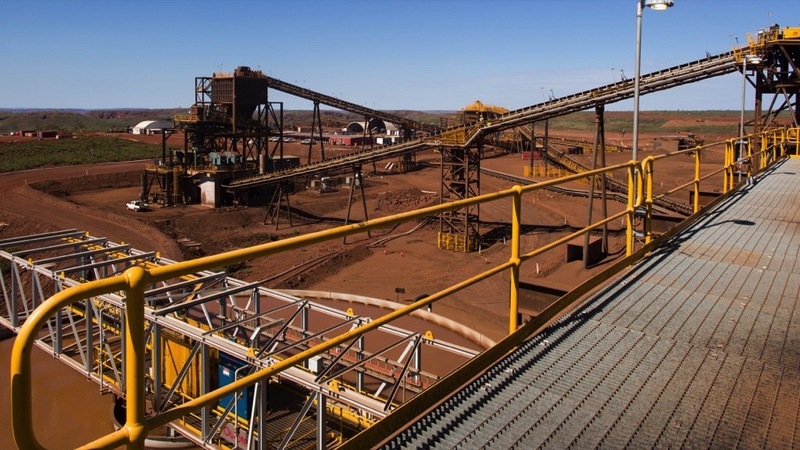 East Perth (WA), Australia – Fortescue Metals Group subsidiary FMG Magnetite and its joint venture partner Formosa Steel IB have approved the development of Stage 2 of the Iron Bridge Magnetite Project. The Stage 2 development includes a wet ore processing facility with a capacity 22 million mtpa, a 135 km concentrate pipeline, as well as port handling facilities including concentrate dewatering, covered storage and reclaiming/conveying to existing port outload circuits. Delivery of first ore expected in the first half of calendar year 2022. The Iron Bridge Magnetite Project, located 145 km south of Port Hedland (WA), Australia, is expected to produce the equivalent of 20 million dry metric tonnes of magnetite ore per year at full operational capacity. The Stage 2 development, with total capital costs of USD 2.6 billion, follows the USD 0.5 billion investment in the successful Stage 1 construction of large scale pilot and demonstration plants which have validated key equipment and magnetite production processes for the full-scale Stage 2 ore processing facility. The Project is owned through an Unincorporated Joint Venture (UJV) between FMG Iron Bridge Ltd. (FMG IB) (69%) and Formosa Steel IB Pty. Ltd. (Formosa) (31%). FMG Magnetite Pty. Ltd. is a subsidiary of FMG IB, a Hong Kong registered company owned by Fortescue Metals Group Ltd. (Fortescue) (88%) and a subsidiary of Baosteel Resources International Company Limited (Baosteel) (12%). The Project requires up to 225 megawatts of power which will be delivered by low cost power transmitted from a mix of existing and new generation sources in the Pilbara. Fortescue is responsible for delivering the power requirements inclusive of latent capacity transmitted from Fortescue’s Solomon power station, together with new generation and transmission which may involve third party providers and supply. Ore stockpiles and waste dumps are located to the east and west of the mine and make use of natural valleys to store the life of mine (LOM) volumes. The ore processing facility will be located approximately 1.5km southwest of the mine, with efficient positioning of the run of mine (ROM) pad and primary crushing hub. Secondary crushing/screening and coarse ore stockpiles are located part way between the ROM pad and ore processing facility to minimise earthworks, conveyor angles and building heights. The tailings storage facility is located in a natural valley north of the mine, with capacity to store the LOM tailings. This location slopes away from the mine and will be constructed using down-stream methodology. Administration, warehousing and light and heavy vehicle workshops are co-located with the ore processing facility to maximise efficiency of operations. The concentrate and return water pipeline corridor takes advantage of Fortescue’s existing rail corridor for 100 km of its 135 km length. The 195 km water supply pipeline from the Canning Basin borefield follows the most direct route to site. The construction and operations villages are located approximately 4 km from the mine site. The airstrip is located approximately 20 km west of the mine site on the most suitable flat land and is close to the mine access road and Great Northern Highway.